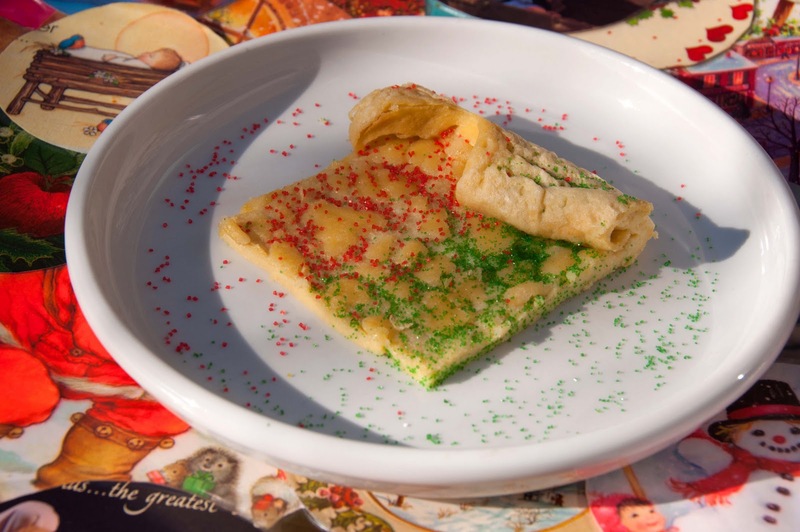 Dana invited me to share a "Sweets and Treats" recipe on MADE for her Christmas countdown this month and now I'm sharing it here with you: Puffy Oven Pancake. It's not just for breakfast! My family lived in Germany when I was small and picked up so many of their great traditions, especially those associated with Christmas. While we fell out of practice with some of them over the years, one remained pretty constant: what my mother would call "puffy oven pancake." 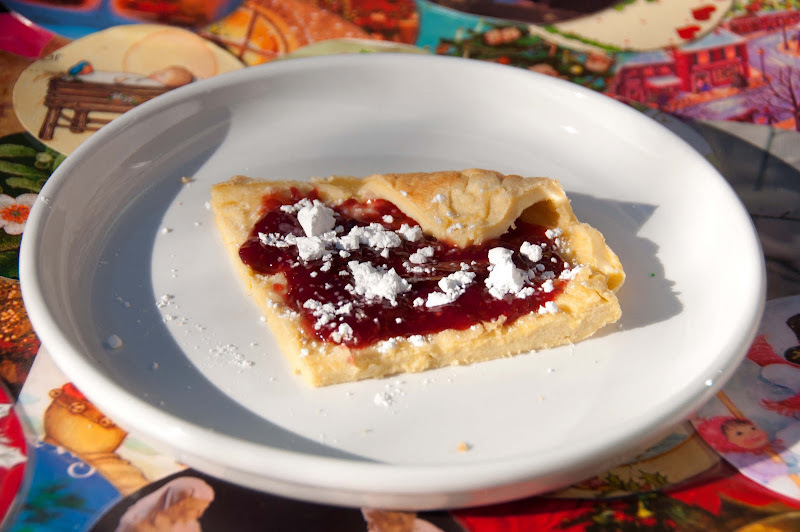 Many of you may recognize it as "german pancake" but I use my mother's name for it when I make it for my girls. Traditionally served for breakfast I've found it's a real crowd pleaser for dinner too! And so perfect for a holiday brunch with friends. 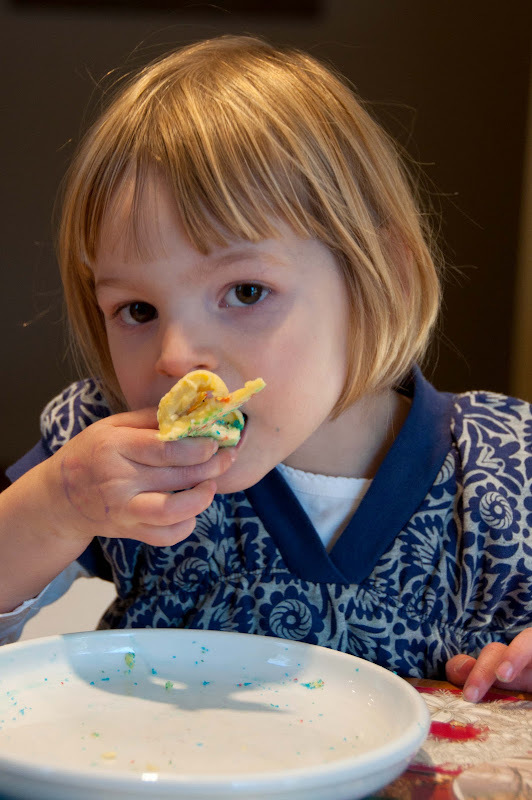 The ingredients are those you always have on hand (eggs, flour, milk, butter and a little vanilla) and there are a lot of possibilites for toppings to suit all your picky eaters. Be sure to time the baking so that you can pull it out of the oven for all to admire in its peak puffiness, as it quickly subsides. Preheat your oven to 375-degrees. Place the 4T of butter in a 9x13 dish (no greasing necessary) and put the dish with butter in the oven while it is heating. 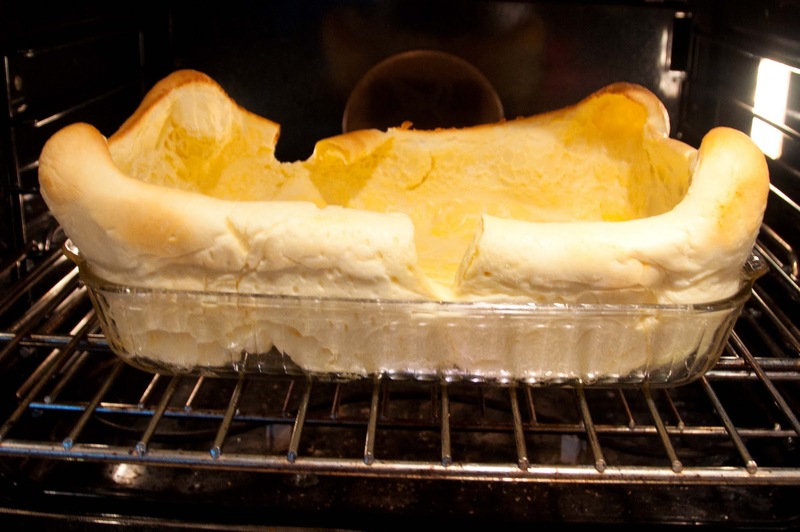 Keep an eye on it--you want the butter to melt but not burn--if it's melted and you aren't ready to add the batter pull it out of the oven until you are. While your butter is melting in the oven, place the rest of the ingredients in a blender. 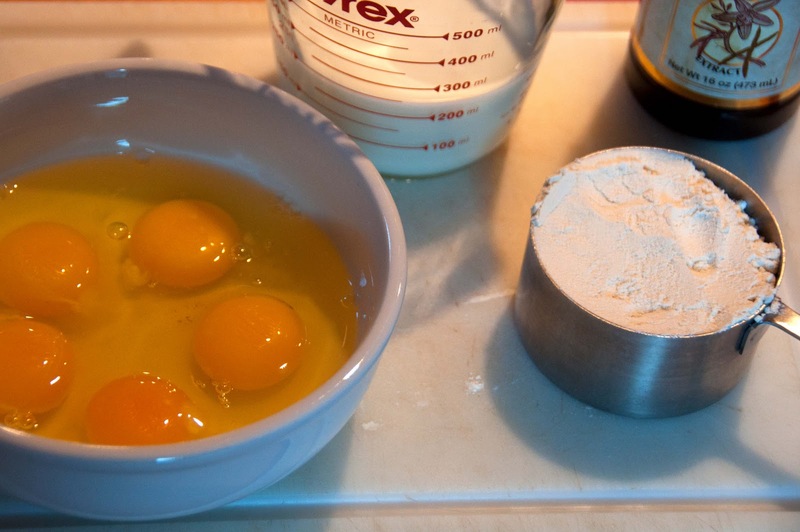 I like to start with the eggs and milk and add the flour last so it doesn't just clump at the bottom. Blend to just mix. I blend for a few seconds and then scrape the flour off the sides and blend again. Some small lumps are ok. You don't want to overmix. 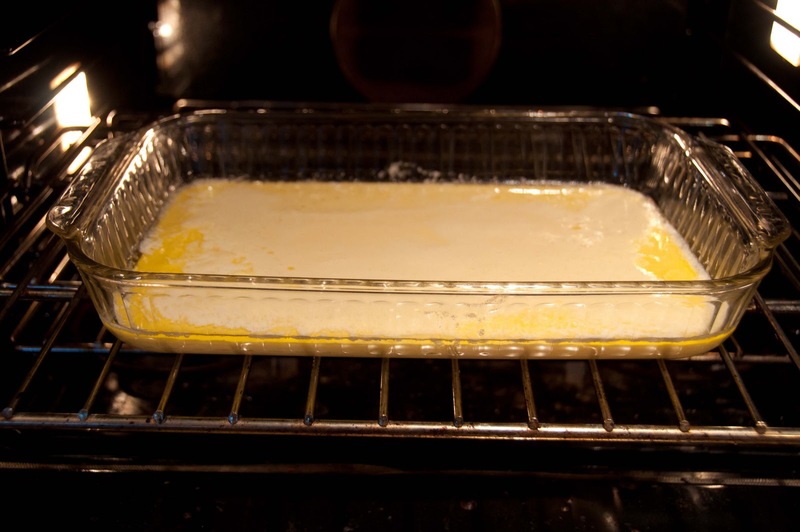 When your butter is melted and the oven has reached temperature, pour the batter into the dish. It will push the butter around in some attractive swirls. There is nothing exact about it. Close the oven door and set the timer for 17 minutes. My mother swore by this amount of time--seems to always work! You will know your pancake is ready with the sides have risen high out of the dish and there is a bit of puffiness in the middle too. If it is completely flat in the middle you may want to give it another minute or two to be sure it is done. And of course maple syrup is always good! 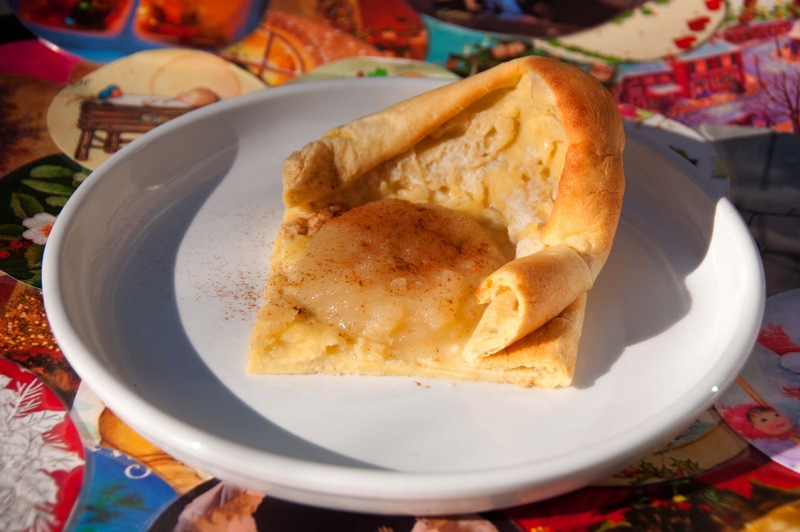 For another variation you can slice an apple very thinly and add it to the bottom of the dish before pouring in the batter. I love it with apples! This is a quick, warm breakfast for a busy school morning or a saturday of Christmas shopping. It's one of our favorites! That looks absolutely delicious! Yum! What a great alternative to flipping pancakes on the stove for 20 minutes--can't wait to try them! My mom made this very thing all throughout my childhood! 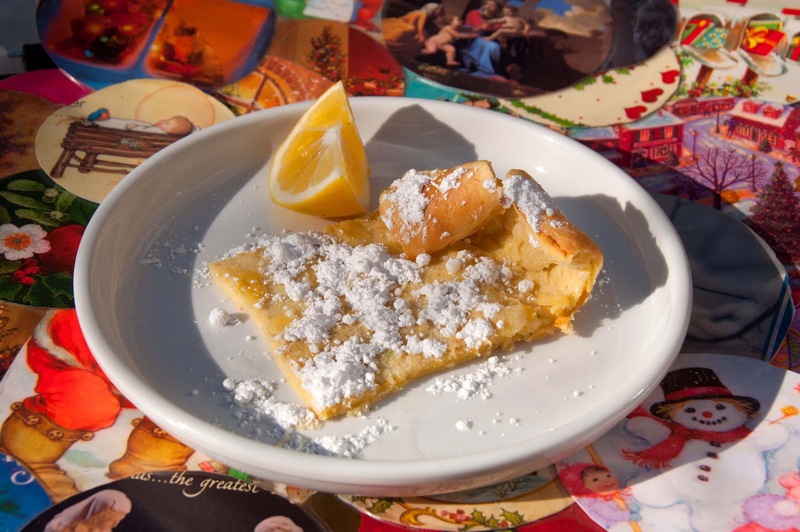 We call it Papa's Pancake, and its always topped with just lemon and powdered sugar. Thanks for the recipe!